dhtmlxEditor is integrated with dhtmlxToolbar, and you can easily configure it by adding custom buttons and select boxes linked to the editor script API. 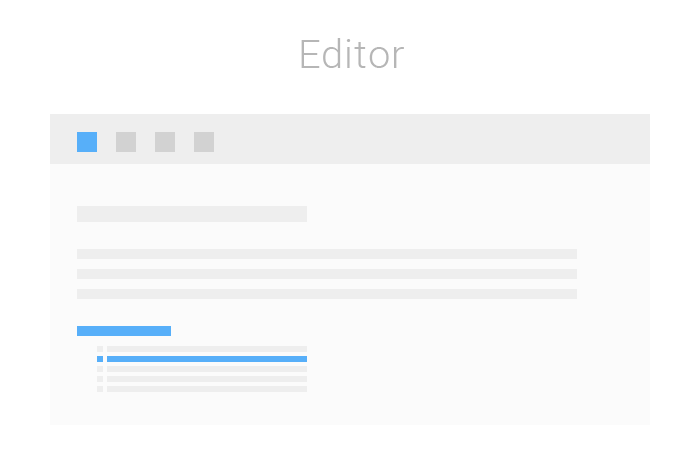 The appearance of the editor's toolbar can also be customized due to a set of predefined skins. You can use dhtmlxEditor for free under GNU General Public License v2, or Free License that allows you to use the component in a non-GPL application/website. Open Source - GPL v2 - Allows you to use dhtmlxEditor in open source, GPL-ed projects for free. Free License - Allows you to use dhtmlxEditor in non-GPL, proprietary projects (applications) at no charge.